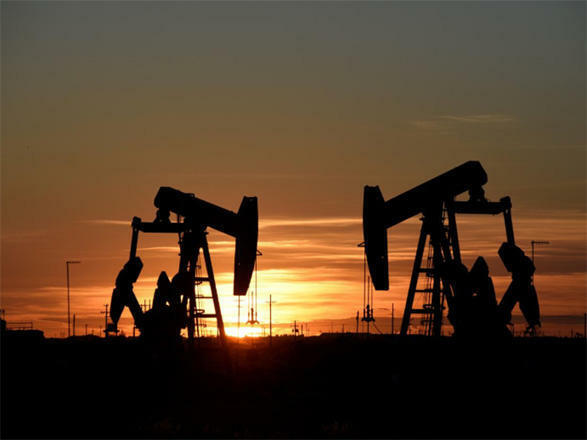 Oil prices rose about 1 percent on Wednesday, boosted by signs of strong US demand for distillate products and tightening global crude supply, but gains were capped by a rising US dollar and ongoing concerns about a global economic slowdown, Trend reports citing Reuters. Brent crude futures rose 62 cents, or 1 percent, to $62.60 a barrel by 11:33 a.m. EST (1633 GMT). The benchmark earlier fell to a session low of $61.05 a barrel. US government data on Wednesday showed that domestic crude inventories rose by less than expected last week even as refineries hiked output. Stocks gained by 1.3 million barrels in the week ended Feb. 1, compared with analysts’ expectations for an increase of 2.2 million barrels. “Basically it’s a pretty supportive report,” said Phil Flynn, oil analyst at Price Futures Group in Chicago. “That drop in distillates is probably enough to give the entire report a more bullish tilt. The producers known as OPEC+ started cutting production by 1.2 million barrels per day (bpd) from last month to avert a new supply glut, and OPEC has delivered almost three quarters of its pledged cuts already, a Reuters survey showed last week. US sanctions on Venezuela’s state oil company could also lift prices, though they have yet to trigger any sharp increase. The sanctions aim to block US refiners from paying into PDVSA accounts controlled by Venezuelan President Nicolas Maduro. However, a stronger US dollar limited gains on Wednesday. A stronger dollar makes greenback-denominated commodities more expensive for holders of other currencies. Also dampening market sentiment still were worries about weaker global economic growth and the US-China trade dispute. Oil prices fell on Tuesday after a survey showed euro zone business expansion nearly stalled in January.